Aliyah rates from Western Europe increased by 35 pct in 2013, with 4,390 people immigrating to Israel from Western European countries as compared with 3,258 in 2012, shows data released by the Jewish Agency for Israel and the Israel Ministry of Immigration and Absorption. France saw the highest upturn in aliyah rates over the year. 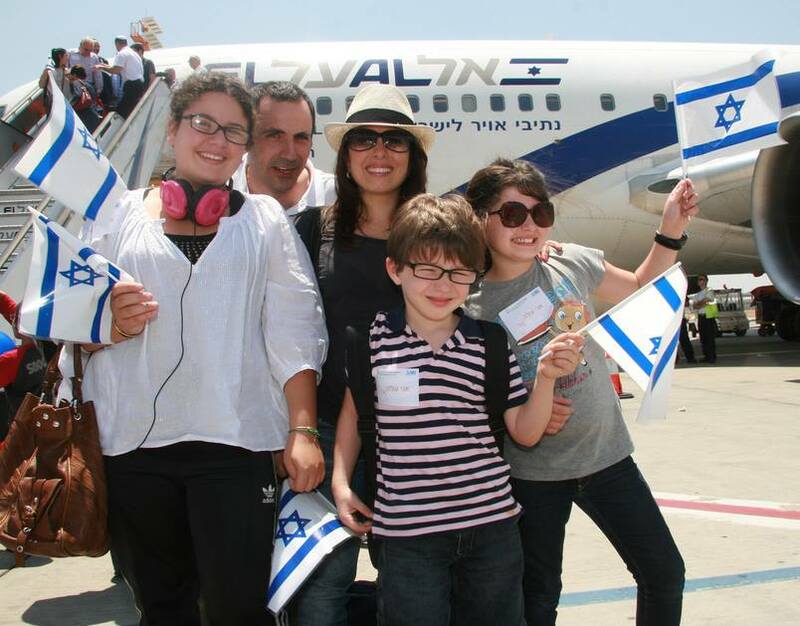 In 2013, 3,120 Jews arrived in Israel from France, compared to 1,916 the previous year, a 63 pct increase year-on-year. 2013 was also the first year since 2005 that more Jews immigrated to Israel from France than from the United States, despite the massive disparity in size between the two communities. France with a Jewish population of around 600,000 people is home to the largest Jewish community in Europe. Shay Felber, the Jewish Agency for Israel’s deputy director general for community service, sees two major factors behind the significantly higher numbers. The first is the ongoing economic malaise in Europe, which is affecting France in particular with unemployment peaking at 11 pct in July and August. The other driving factor is anti-Semitism. “Although it has been going down over the past couple of years, French Jews remained concerned about the future,” Felber said. According to a recent survey published by the European Union Agency for Fundamental Rights as many as 85 pct of French Jews believe anti-Semitism is a problem in their country, with 70 pct fearful of becoming the victim of a hate crime. But these factors alone don’t account for the upturn in French aliyah rates, or explain why Jews seeking to leave France would choose Tel Aviv and Jerusalem over London or Montreal. Rather, the trends represent an expression of the French Jewish community’s increasingly Zionistic mentality, particularly among young French Jews, and a manifestation of efforts by the Jewish Agency, the Israel government, and other non-profits to cultivate Jewish identity in France, observes Tablet Magazine. “If this year we have seen Aliyah from France go from under 2,000 to more than 3,000, I look forward to seeing that number grow to 6,000 and beyond in the near future, as we connect ever more young people to Jewish life and to Israel,” commented Natan Sharansky, Chairman of the Executive of The Jewish Agency for Israel. Other Western European nations also saw an increase in aliyah rates, but no other country exhibited an increase of the same statistical significance. The Netherlands saw a 54 percent increase in aliyah rates, but the uptick was a result of only 74 olim. Similarly in Belgium, a 46 percent increase in aliyah rates was accomplished by just 240 new immigrants.